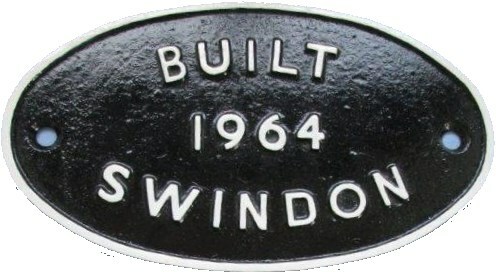 Lot 17 Alloy Oval Diesel Locomotive Worksplate "BUILT 1964 SWINDON". As carried by 0-6-0 Class 14 "TEDDYBEAR". Front restored.